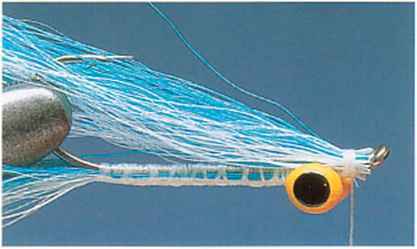 The Clouser Minnow is an extremely effective baitfish imitation that catches a whole range of game fish in fresh- and saltwater. Brown |ts a||ure comes from a combination of heavy lead eyes and trout long, mobile tail and wing that give it a wonderful ducking-diving action on every twitch of the retrieve. It is also tied to Arctic take the knocks that come when catching large, powerful fish, pnnr and the use of tough materials such as bucktail, ultra-strong thread, and Super Glue ensures that the Clouser is very robust. ^ It is an easy pattern to tie: The body consists of simple, crossed-Rainbow trout thread wraps over the waste ends of the tailing materials. Also, because the pattern is tied to fish point-up, to avoid snagging the bottom, the heavy lead eyes are tied on top of the shank rather than underneath. 3 Carry the thread down to the hook bend and Ji Carry the thread right up to the hook's back to the eyes. These crossed turns of eye, then invert the hook in the vise so that thread will lock the tail in position. it is sitting point-up. IOnce the hook is fixed in the vise, run the tying thread on at the eye. Wind on a number of thread wraps to build up a solid base, then use figure-of-eight thread wraps to secure painted dumbbell eyes in place on top of the shank. 2 Wind the thread, in touching turns, down to the bend and back to the eyes. 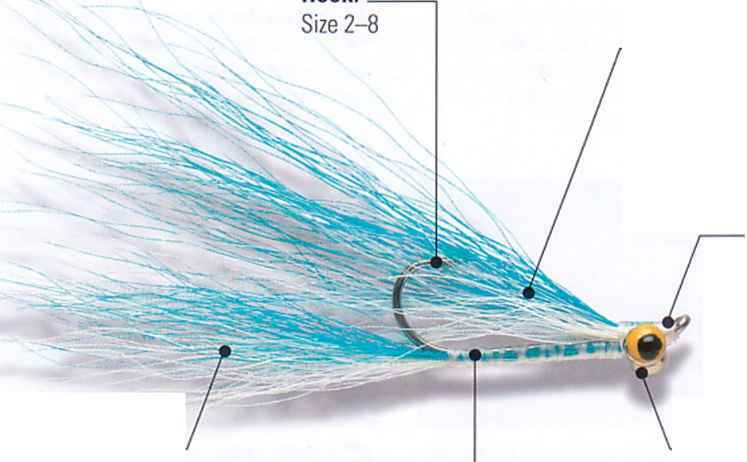 Take a slim bunch each of blue and white bucktail and catch them in at the eyes to form a tail. 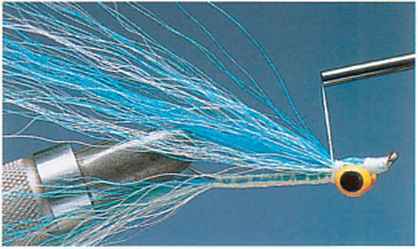 Wind the thread in tight, open turns over the ends of the bucktail. 5 Take two more bunches of blue and white bucktail and place them together. Catch them in at the hook's eye so that their tips are level with those of the tail. 6 Build a neat head. 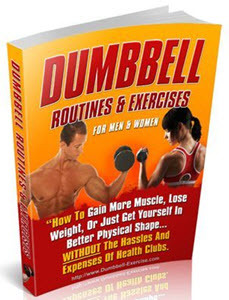 Carry the thread behind the dumbbell eyes and use very tight wraps to lock the wing in place. Cast off the thread and run a drop of Super Glue into the thread wraps holding the wing and eyes.